Best Ways to Relax in Baguio City | Go Baguio! So you've come here to unwind, you worked hard and deserve a break, and the cool, fresh air and mountain vistas are just what you need... Welcome to "Relaxing Baguio!" The City of Pines is the perfect place for some peace and quiet, a cheap place to relax in, too. But my first advice would be to find yourself a nice cozy room away from the center of the city. Highly urbanized is what we have become, especially in the last decade. This gives both visitors and residents all the amenities of city life and a more hectic pace that comes with "development." But there are many places here to "lose oneself" still, and that is what I and a lot of visitors love about the place. Here then are some of my suggestions for a relaxing vacation in the City of Pines. On the east and south sides where there are lots of trees. Stay away from major roads. 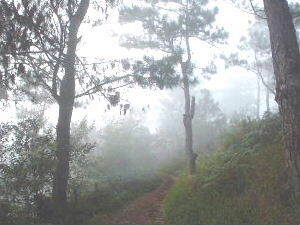 Try the Camp John Hay Eco-Trail. 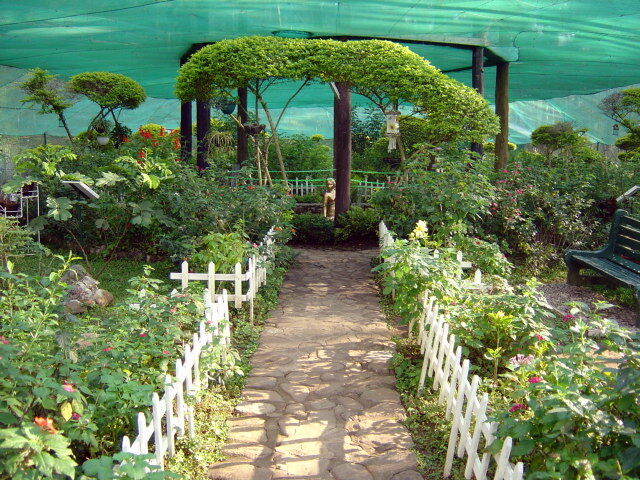 The Maryknoll Ecological Sanctuary has a 14-station account of the evolution of the universe set in a secret garden in the middle of bustling Baguio City, in Camp Sioco, accesed via Marcos Highway. Picnic tables available, too. Have a picnic in a park or barbecue at "home"
Casual dining at its best! Eat what you want, wear what you want, be with whomever you choose, dine under the pine trees and a bright blue daytime sky. Everybody loves a picnic! The rates here are only Php275-350 per hour and you'll get the best sleep of your life afterwards. Malls have bookstores where you can get best-sellers and second hand books. There are also many little bookshops around the city. Or, better yet, bring that one you have been planning to read for a long time along on your trip. Reservations are a must, about a day or two before. Then take a nice drive to Longlong Road at Lamtang (via Naguilian). The meals there are always full-course featuring ingredients picked fresh from their organic vegetable garden. 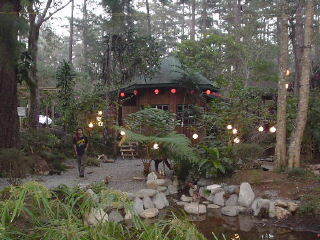 It is THE most relaxing place for lunch Baguio City. 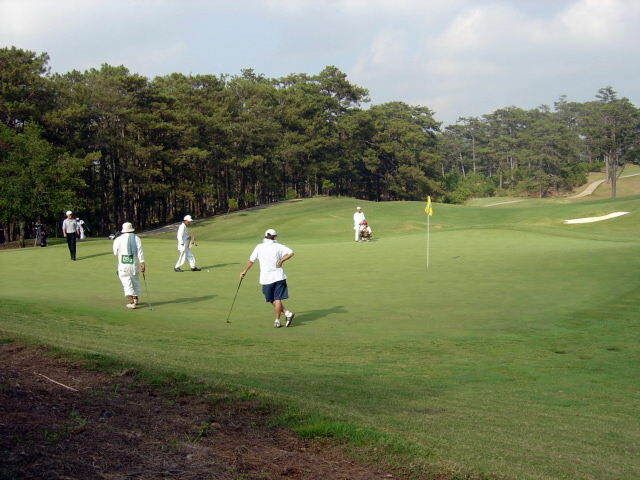 Go for a round in one of two of our naturally air-cooled golf courses. Even if you are not a member of Camp John Hay or Baguio Country Club, special guest passes are available at slightly higher rates. Vegetarian food that simply rocks in a zen environment with books and artwork and lovely company in an Asian setting -- highly recommended. Bliss Cafe can be found inside Hotel Elizabeth along Gibraltar Road. If you think that vegetarian food must taste like vegetables you are in for a surprise. 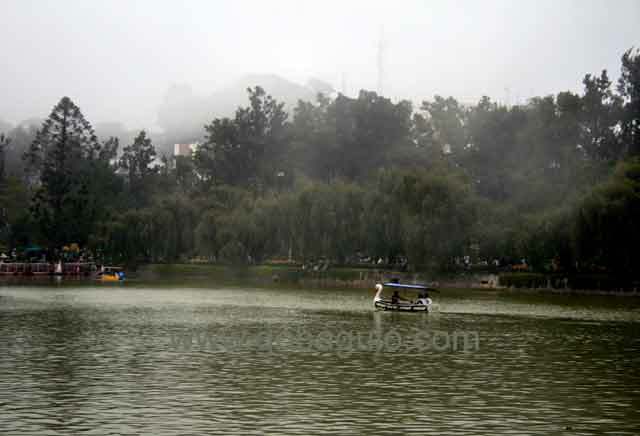 When I want to be alone with the soothing sound of water and voices in the distance, I rent a rowboat at the Burnham Park Lagoon for an hour or two and just go around the lake. Try -- it might just work for you, too! In Baguio, you are surrounded by natural beauty and there are lots of subjects to choose from plus many places to whip out the canvas and prop up the easel. 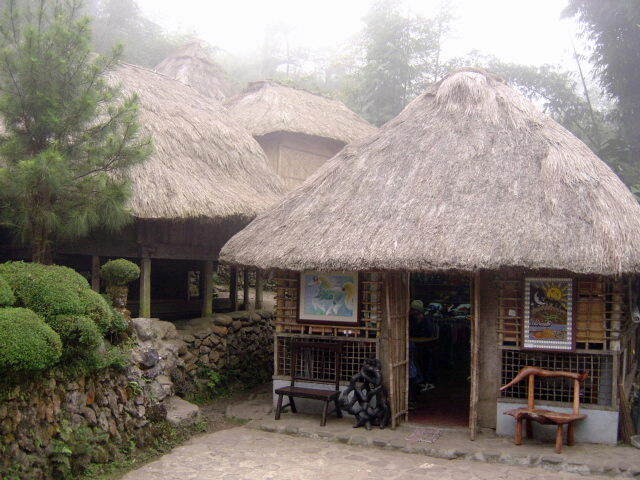 Art workshops are held at Tam-awan Village and at the Botanical Garden. The latest and most welcome attraction of the Summer Capital of the Philppines is the museum of National Artist Benjamin Cabrera along Asin Road. It not only features his artwork, it also houses his collection of the works of other artists, including FIlipino masters. The museum also has a mad-made late, a duck pond, an organic farm, and a coffee shop. It's so beautiful there. Whether alone or with a special person or persons in your life, there's nothing like a warm fire and good conversation to soothe one's soul. Make sure to have a nice mug of hot cocoa to go with it, and maybe do some marshmallow roasting to round it all up. like having long conversations with your loved ones, or finishing the needlepoint you began a long time ago while the kids are out skating, or planning a meal using fresh ingredients from the Baguio City Market.